After spending a week in the sunny, almost spring of the northwest, its kind of a bummer to come to the cold, drizzly south. But at least I have this new skirt for sunnier thoughts. Its my first time sewing a knit, and it actually went pretty smoothly. The bottom of the skirt is a flowy, cascading shape, so I had to model it to show it off. I’m looking forward to wearing more skirts this spring! 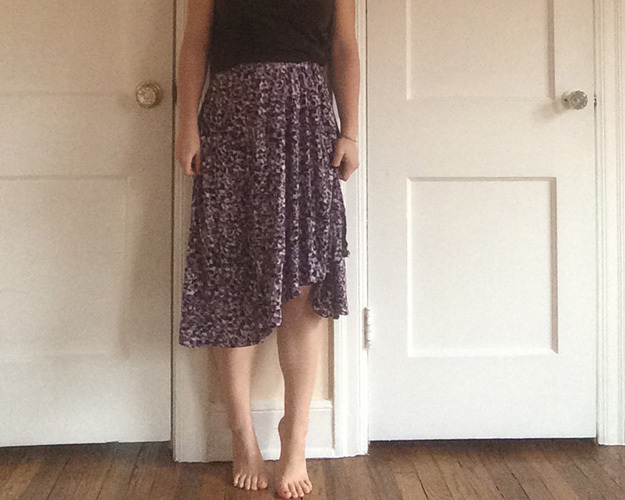 This entry was posted in Make and tagged clothes, diy, fashion, handmade clothes, knit, sew, skirt on March 2, 2015 by Chelsea.